Because Industrial Property requires an ecosystem of specific skills! We have established partnerships to offer quality complementary services, accessible to all companies holding a patent portfolio. Oneseveral is a Consulting company in Strategy and Management of Intellectual Property. Oneseveral assists you in the analysis and negotiation of your contracts (licenses, technology transfers, research collaborations), and offers training in Intellectual Property, Contracts and/or negotiation. PatentPulse is a patent search and analysis platform that is particularly adapted to SME’s that want to exploit technological information. You want to protect and value your inventions and you do not know where to start? 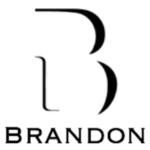 Brandon Group supports you in defining your strategy at a global level.